Punta Gorda is the county seat of Charlotte County, Florida. As of the 2010 census the city had a population of 16,641. Punta Gorda is the principal city of the Punta Gorda Metropolitan Statistical Area and is also in the Sarasota-Bradenton-Punta Gorda Combined Statistical Area. 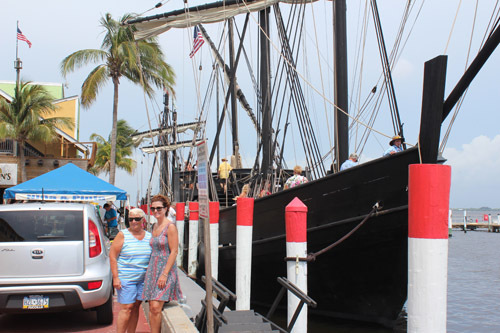 Punta Gorda, a small historic town nestled on the shores of pristine Charlotte Harbor, a large estuary off the Gulf of Mexico, is one of the oldest incorporated cities in Florida. Following Hurricane Charley, which came through the city on August 13, 2004, a revitalization of the City took place that resulted in buildings being restored or built to hurricane resistant codes. The new buildings, restorations and amenities concurrently preserved the City’s historic past while showcasing state-of-the art modern facilities and small city charm. During this time, Laishley Park and Marina was built and Harborwalk, a Linear Park that winds through the city next to a scenic stream and various trails was created throughout the City for bicycle and pedestrian traffic. Punta Gorda, in addition to being recognized for its small town ambiance, biking and walking pathways, and many fine restaurants, is renowned as a boating and fishing paradise. Its prime harbor front location and over 60 miles of canals provide access to both casual day boating and fishing to serious deep sea fishing, sailing and cruising to the Gulf of Mexico. Approximately 70% of Punta Gorda’s residents live on waterfront. The name “Punta Gorda” has been on maps at least since 1851, referring to a point of land that juts into Charlotte Harbor, an estuary off the Gulf of Mexico. It was in the late 1800s that early settlers began to arrive in what is the present-day Punta Gorda area. Frederick and Jarvis Howard, Union Army veterans, homesteaded an area south of the Peace River near present-day Punta Gorda about a decade after the close of the Civil War. In 1876, James and Josephine Lockhart bought land and built a house on property which is now at the center of the city. Approximately two years later Lockhart sold his claim to James Madison Lanier, a hunter and trapper. Lanier and his wife lived there until 1883, when 30.8 acres (12.5 ha) were sold to Isaac Trabue, who purchased additional land along the harbor and directed the platting of a town (by Kelly B. Harvey) named “Trabue”. During World War II, an U.S. Army air field was built in Punta Gorda to train combat air pilots. After the war, the air field was turned over to Charlotte County. Today the old air field is the Punta Gorda Airport providing both commercial and general aviation. Punta Gorda’s next intense growth phase started in 1959 with the creation of a neighborhood of canal front home sites, Punta Gorda Isles, by a trio of entrepreneurs, Al Johns, Bud Cole and Sam Burchers. They laid out 55 miles of canals 100 feet wide and 17 feet deep using dredged sand to raise the level of the canal front land. This provided dry home sites with access to the Charlotte Harbor and the Gulf of Mexico. Johns went on to develop several other communities in Punta Gorda among which were Burnt Store Isles, another waterfront community with a golf course, and Seminole Lakes, a golf course community. These communities provided waterfront or golf course homes for retirees with access to a downtown with shopping, restaurants, and parks. In the early 1980s at the site of the old Maud Street Fishing Docks, a new shopping, restaurant and marina complex Fishermen’s Village was constructed that continues to be one of Southwest Florida’s primary attractions. In 2004, a major hurricane, Hurricane Charley moved through Punta Gorda, damaging many buildings, but also creating an opportunity for revitalization of both the historic downtown and the waterfront. During the first part of the twenty-first century, Punta Gorda has continued to grow and improve. Punta Gorda lies on the south bank of the tidal Peace River and the eastern shore of Charlotte Harbor, an arm of the Gulf of Mexico. Unincorporated communities bordering Punta Gorda include Charlotte Park (nearly surrounded by the city), Solana to the east, and Charlotte Harbor to the north, across the Peace River. Port Charlotte is to the west of Punta Gorda’s incorporated residential neighborhoods Deep Creek and Suncoast Lakes, north of the Peace River. Harbour Heights lies to the east of Punta Gorda’s Deep Creek residential neighborhood. U.S. Route 41, the Tamiami Trail, runs through the center of the city, leading south 23 miles (37 km) to Fort Myers and northwest 30 miles (48 km) to Venice. The southern terminus of U.S. Route 17 is in the center of Punta Gorda; the highway leads northeast 25 miles (40 km) to Arcadia and ultimately 1,206 miles (1,941 km) to its northern terminus in Winchester, Virginia. Interstate 75 bypasses Punta Gorda to the east, with access via U.S. 17 from Exit 164. According to the United States Census Bureau, the city has a total area of 21.0 square miles (54.4 km2), of which 15.0 square miles (38.9 km2) is land and 6.0 square miles (15.5 km2) (28.52%) is water. Punta Gorda is home to five public schools operated by Charlotte County Public Schools: Charlotte High School, Punta Gorda Middle School, Sallie Jones Elementary School, East Elementary School, and the Baker Pre-K Center. Good Shepherd Day School is the only private grade school in Punta Gorda. 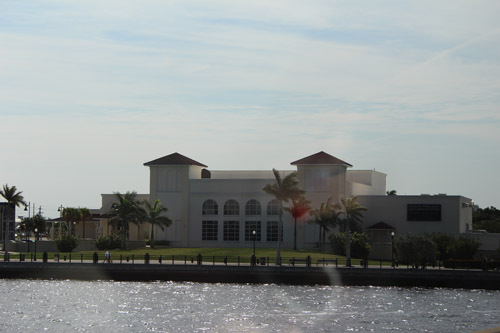 Florida SouthWestern Collegiate High School, located in Punta Gorda, is the county school district’s only charter school. Florida SouthWestern State College Charlotte Campus is Punta Gorda’s institution of higher learning. As of the census of 2000, there were 14,344 people, 7,165 households, and 5,187 families residing in the city. The population density was 1,012.8 per square mile (391.1/km²). There were 8,907 housing units at an average density of 628.9 per square mile (242.9/km²). The racial makeup of the city was 94.60% White, 3.17% African American, 0.17% Native American, 0.78% Asian, 0.03% Pacific Islander, 0.59% from other races, and 0.68% from two or more races. Hispanic or Latino of any race were 1.99% of the population. There were 7,165 households out of which 8.3% had children under the age of 18, 66.8% were married couples, 4.3% had a female householder with no husband present, and 27.6% were non-families. 24.1% of all households were made up of individuals and 15.9% had someone living alone who was 65 years of age or older. The average household size was 1.97 and the average family size was 2.27. In the city the population was spread out with 8.2% under the age of 18, 2.1% from 18 to 24, 9.9% from 25 to 44, 33.4% from 45 to 64, and 46.4% who were 65 years of age or older. The median age was 64 years. For every 100 females there were 89.9 males. For every 100 females age 18 and over, there were 88.9 males. The median income for a household in the city was $48,916, and the median income for a family was $54,879. Males had a median income of $34,054 versus $26,125 for females. The per capita income for the city was $32,460. About 4.7% of families and 6.5% of the population were below the poverty line, including 10.9% of those under age 18 and 3.0% of those age 65 or over.